Assam Chief Minister Sarbananda Sonowal said the state government is promoting holistic growth in the bamboo sector by adopting area-based, regionally differentiated strategy to increase bamboo cultivation. 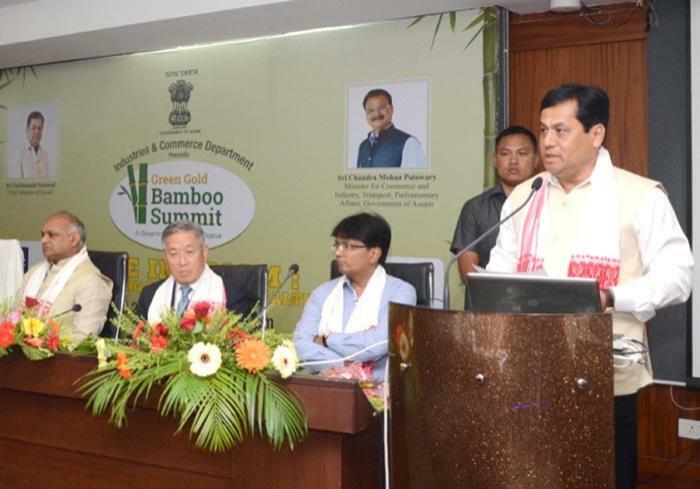 Inaugurating a two-day summit here on bamboo, Sonowal said "People of Assam have grown up with bamboo. Bamboo culture has been rooted in our minds for a long time". The state government is committed to promote holistic growth in the bamboo sector by adopting an exhaustive strategy to influence the growth of bamboo and its marketing, he said. Using latest technology, the vast resources of bamboo can be used as a force multiplier for rapid industrialisation in the state, Sonowal said adding, "the people of Assam have the skills to work with bamboo. Promoting the use of bamboo as an industry will work as a catalyst to materialise Prime Minister Narendra Modi's dream of making Assam an organic hub of the Northeast." Urging the delegates to invest in bamboo and its allied sectors, the Chief Minister assured all help to the bamboo industry. Assuring his government's commitment to transform Guwahati as a business capital of South East Asian countries, Sonowal said his government has been taking several steps to improve connectivity of the city and its infrastructure. Bamboo is one of the strongest building materials and it is a critical element of the rural economy of the state, which can also contribute to create an effective mechanism against soil erosion, Sonowal said. He said Numaligarh Refinery Limited will process five lakh tons of green bamboo annually, which will help in ethanol blending and will promote large scale local employment through bamboo cultivation and semi-processing facilities. Organised by the Department of Industries and Commerce, the summit aimed at bringing together relevant stakeholders to deliberate and discuss new ideas, opportunities and collaborations to enable Assam's bamboo industry take a big leap.